I cannot believe it has been four months since my last blog post! I hope this summer I will post more frequently. With me being gone for so long you might be asking, "What were you doing?" a professor decided to give us a huge assignment. UGH. I love reading magazines when I get the chance. I only got the chance to read a few since some are so thick (Thanks Elle and InStyle)! 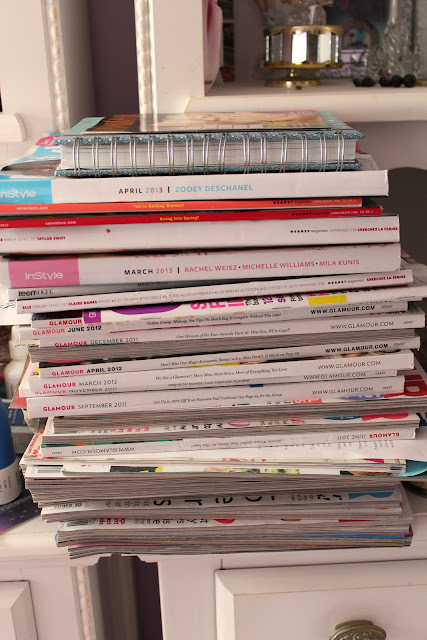 This is the pile of magazine I still need to read. Crazy. My mom also bought me Perks of Being a Wallflower from Target. I probably watched it 4 times over my break! I know this post is very random. I just wanted to update you, and tell you that I will post an outfit of the day very soon.